Heartland Hope Mission helps anyone in need in the community with every day food and hygiene products. OMAHA, Neb. (KMTV) — Heartland Hope Mission helps anyone in need in the community with every day food and hygiene products. 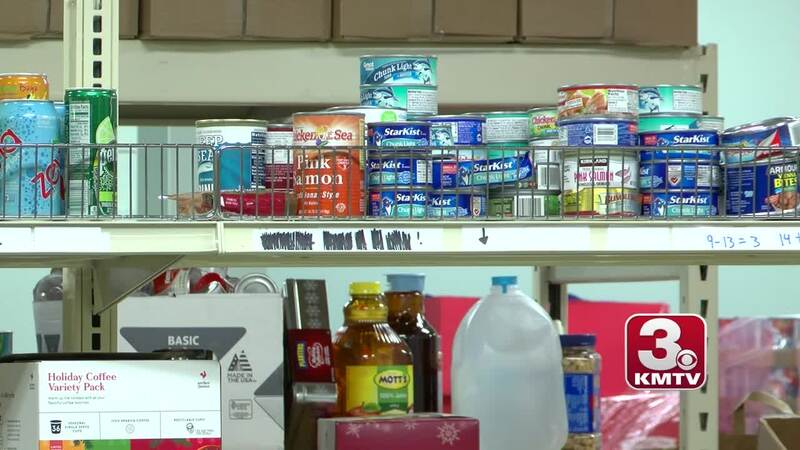 Now that we have been in the longest government shutdown CEO of Heartland Hope Mission, Chelsea Salifou, said they realize families relying on those paychecks may now be in need of assistance. "It's really important to us that we are able to catch families right at the beginning of a difficult situation." Thursdays at 3 Families directly affected are invited to come in and shop. They will receive a week's worth of groceries along with diapers and any hygiene products they are in need of. However, Salifou said families are welcome to pick up items any time the pantry is open. Heartland Hope Mission will continue to help families until the government re-opens or those families are no longer in need of help. Tuesdays from 6:30 to 7:30 p.m.
Thursdays from 1:30 to 4 p.m.
Saturday from 9:30 to noon. 2nd Saturday of every month and the last Wednesday from 1:30 to 3:30 p.m.